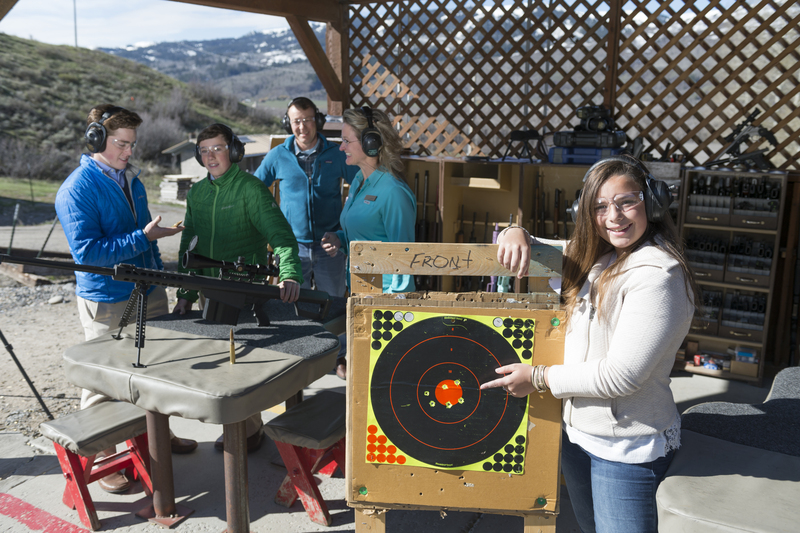 While visiting Wyoming, many luxury travelers enjoy visiting the Jackson Hole Shooting Experience, shooting range near Jackson Wyoming. This firearms shooting experience is the first of it’s kind in the world, and remains the international leader in luxury entertainment shooting experiences. Founded in 2010, this boutique shooting range offers premier shooting instruction and experiences to both novice and experienced shooters alike. JHSE is located in Teton County Wyoming, which is consistently rated the “wealthiest county in the US” or at least in the top 3. Just as well heeled part time residents and visitors demand world class restaurants, they also demand world class recreational activities in Jackson Hole. 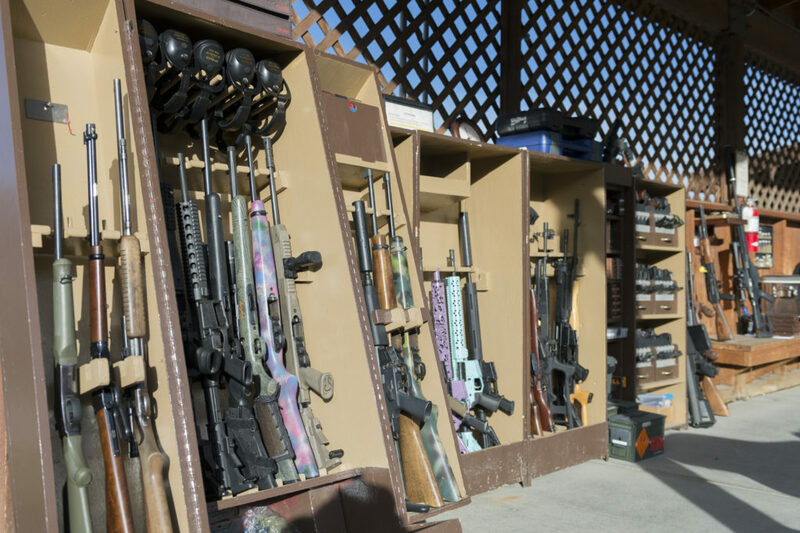 Unlike standard shooting ranges that offer gun rentals with only minimal instruction, this firm focuses on fun and bringing families together through safe, fun and educational shooting sports. Founder Shepard Humphries said that he intentionally designed the experience to NOT be like the Las Vegas gun experiences. The firm’s shooting instructors are the best in the industry, and the focus is on novice and intermediate level shooters. What is this companies philosophy? 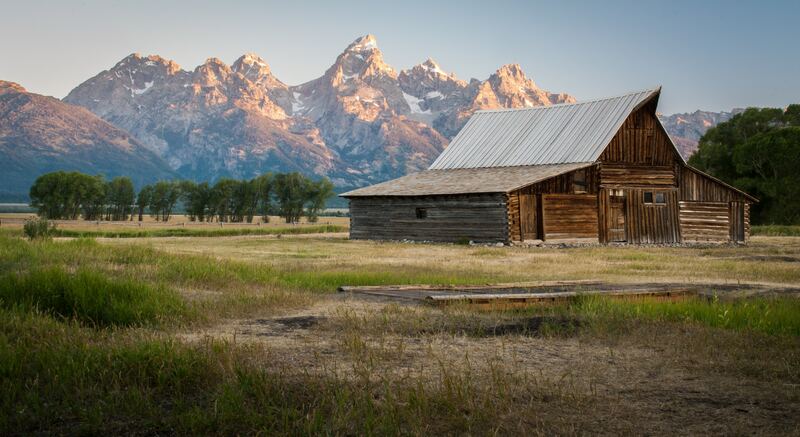 Group activities in Jackson Hole for family reunions, corporate groups and wedding parties! They foster fun competitions and fun is had by all. Most of their guests proclaim their shooting experience as the best activity of their vacation, and many say it is the best of any vacation! Jackson Hole’s busiest season for summer tourism is July and August, however there are many fun September Activities in Jackson Hole! We welcome you to a quieter time in Jackson Hole and we know you will have a great vacation! White water rafting and scenic raft trips are available until mid to late September, contact your preferred company and inquire about dates. The water is typically very clear this time of year, and even a bit warmer! Visit TripAdvisor.com for a listing of whitewater rafting companies and to see their reviews. Shooting firearms is available in September by reservation with the Jackson Hole Shooting Experience. This activity has the best reviews on Trip Advisor of any Jackson Hole activity and welcomes novice and experienced shooters for their popular Multi-Gun Rifle & Pistol Experience as well as shotgunning, archery and tactical training. Dining in Jackson Hole is great in September, as most restaurants remain open, and while the staff are exhausted from a busy summer, they are “dialed” in and are more relaxed. If you are a “foodie” you might want to check out a new offering, Jackson Hole Food Tours. Check out our DINING IN JACKSON HOLE page for more information on local restaurants. Jackson Hole is a small community and boasts “big-community” dining options. 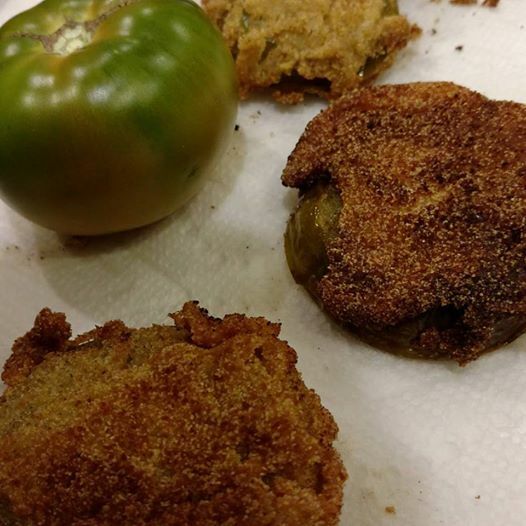 Because of the affluent class that frequents Jackson, many restaurateurs provide excellent solutions. There are also more affordable options available. If you have arranged your life in such a way that money is not a concern, you will be very pleased with dining options in Jackson Hole. The most popular restaurant in Jackson Hole for the well heeled remains the Snake River Grill. Other top locations include the Wild Sage, The Kitchen, Blue Lion, Nikai Sushi, Million Dollar Cowboy Steakhouse, Gun Barrel Steakhouse and of course the in-house restaurants at the areas best hotels, Amangani, Four Seasons, White Buffalo Club and Hotel Jackson. If you have arranged your life in such a way that money must be watched and managed well, but you want to treat yourself, you will also be very pleased with dining options in Jackson Hole. The most popular restaurant in Jackson Hole for the middle class is Sidewinders Tavern. Other top locations include The Bird and Pica’s. If you have arranged your life in such a way that money is tight, you can still find some affordable dining options in Jackson Hole. The most popular restaurant in Jackson Hole for the budget conscious remains The Virginian for breakfast and El Abuelito for dinner. Other top locations include Chinatown or Cutty’s Bar & Grille. Not really. Smith’s grocery is your best bet. Looking for the best chicken wings in Jackson Hole? Find out HERE! 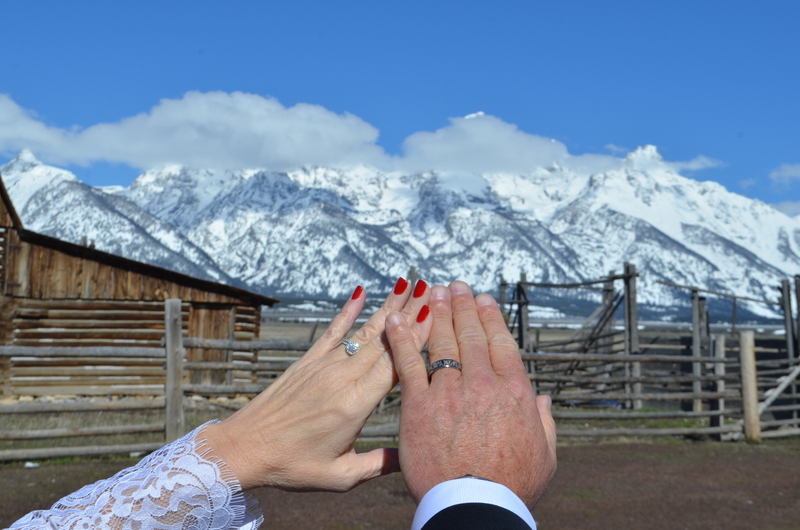 Jackson Hole is a fabulous location for weddings, and there are many caterers, wedding officiants and other services to make your Jackson Hole wedding wonderful. Investigate these great sites that provide the information you need! 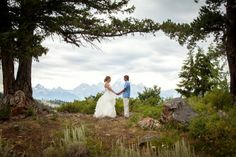 Jackson Hole is a great place to get married! Many thanks to the local Legendary TAMMY CHRISTEL for her many contributions to our site! 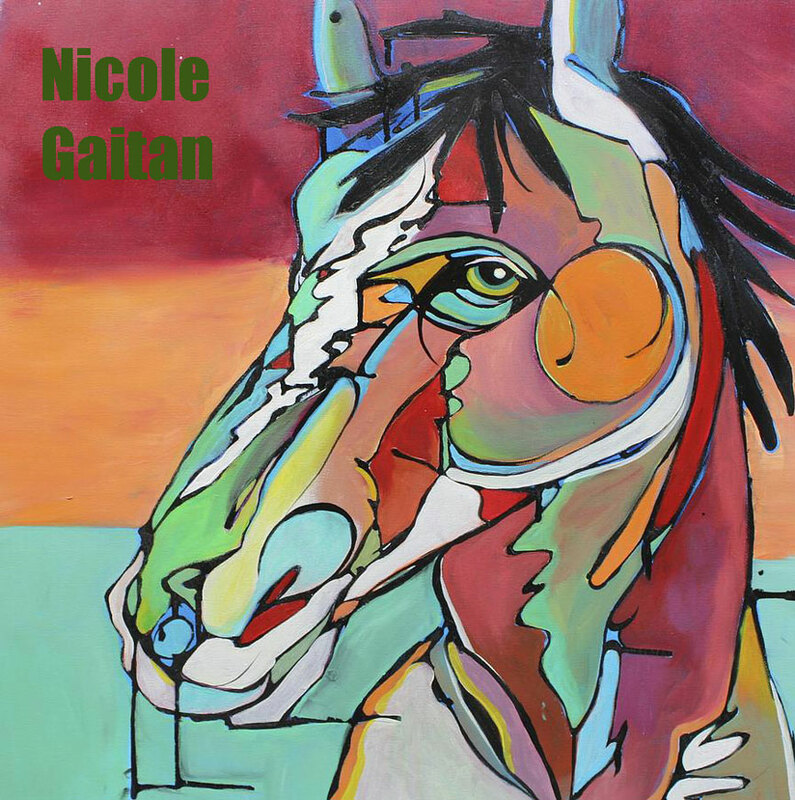 We invite you to Learn About ART In Jackson Hole by reading our many articles about the Jackson Hole Art Scene and to also click on the image below to visit an excellent local art blog! 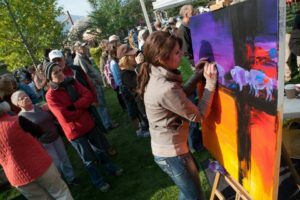 ( Jackson Hole Art Blog) You might choose to create your own temporary art project in Jackson Hole with stone balancing, or perhaps visit a local gallery. 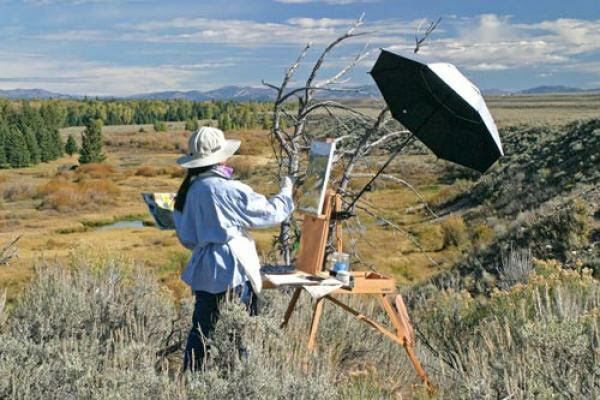 Please Learn About ART In Jackson Hole HERE. I’ve always tried to make life exciting, and I thought, up until I turned 29, that I was doing everything I could to live a fulfilling and adventurous life… but, that minute I turned 30 — that realization that my twenties were over — was the minute everything clicked. It’s time to take advantage of my freedom and my youth… two things you can never get back. 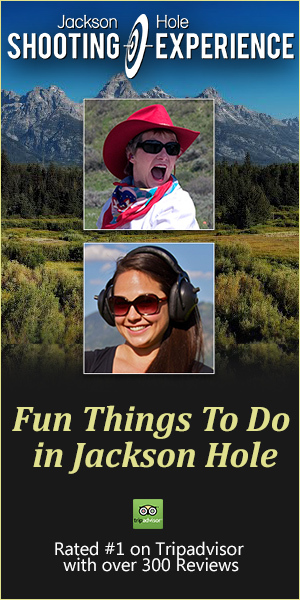 7 free things to do in Jackson Hole! For visitors on a budget, our valley offers many great opportunities! 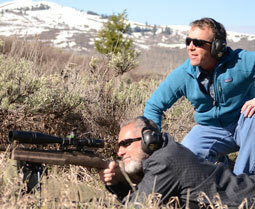 Here at the Jackson Hole Shooting Experience, donors of this blog, we cater to HNW travelers. At the same time we appreciate that many of the best things in life are free! Spending time with the family enjoying the Great Outdoors, whether accomplishing anything or simply relaxing and watching the clouds pass by, can be one of the greatest bonding moments of your vacation! We would love to share some ideas with you! Our area offers many great places to hike, climb and play! Whether you choose a guided hike through your resort or with a provider like The Hole Hiking Experience, you are sure to have a great time, get a blister or several, see some pretty incredible sights and most importantly, relax and be at peace. If you brought your bicycles, you are in for a treat! Whether you want a casual ride on the plentiful paved government pathways, a technically challenging mountain bike trail or downhill madness – Jackson Hole has great bike trails for you! Did you bring a camera? Get out and shoot, we have SO MANY wonderful views in the area! Please share your best shots on our FACEBOOK page! City-folk love Jackson Hole’s clear and starry nights! You don’t need a telescope to lay down on your back and stare up into the sky! There are free apps for smart phones that can help you identify individual stars and planets as well as constellations. Whether you are ready to brave the chilly waters of the Snake River or other high mountain bodies of water or if you prefer the warmth of a natural hot spring; there is water in Jackson Hole for you! Kelly Warm Springs is easily accessible and a great place for kids to wade and play! Free Things To Do In Jackson Hole abound, and swimming is just one of them! These activities are best for families with creative minds! There are many ways to play with rocks, from climbing on them to collecting them to stacking them into cool towers. There are many places around Jackson Hole for scrambling. Check with the government in whatever jurisdiction you hope to collect rocks to be sure it is not illegal. Rock stacking, also called “stone balancing” is a great mental exercise to keep the brain sharp! Please take photos of YOUR best balancing acts and share them on our facebook page! If you want to camp “fancy style” you will need to pay the government to use the developed camping places in their parks. If you are willing to rough it though, and actually camp the way folks have for thousands of years, there are many places to pull off the beaten path and camp. Remember that the more “challenges” you and your family face, the stronger the memories that you will build. Thanks to our featured Jackson Hole Activities business that supports our webpage! Whether you choose to fish with a local legend like Bill Drui, John Hoovan or Don Wackerman guiding your excursion or simply want to stop into JD-High County Outfitters and outfit yourself with the necessary gear and knowledge, fly fishing activities in Jackson Hole are spectacular. ​​Enjoy a guided horseback ride atop the East Gros Ventre Butte with Spring Creek Ranch’s W.W. Guides. Take in unique views of the Teton Range, the town of Jackson and the surrounding area from atop your well-trained steed. Rides are offered for one to four hours. ​Experience true western fun & great scenic views on a 1-hour, 2- hour, 3-hour, half day, or full day horseback ride. Full day ride with fishing & pack trips also available. Western towns have traditionally had many offerings for horse rides, but a Jackson Hole company has now added a new twist. Want something unique? Try Intro To Rodeo!